WhatsApp is testing a new feature to limit the spread of fake news and misinformation on the platform by setting a forwarding limit on all media, videos, photos which are shared on the platform. In India, said media reports, WhatsApp will test a lower limit of five chats at once, and then remove the quick forward button next to the media file, be it audio, pictures or videos. The global limit on WhatsApp forwards will be 20 chats. The present limit is 250 chats. WhatsApp will also remove the quick forward button from media messages in India, reports said. After the new restriction, if a media message is forwarded five times from the same account, then WhatsApp will disable the option for forwarding it further. However, the feature does not appear to be live for all India users yet. According to WhatsApp, revealed that India is the market where people forward more messages, photos and videos than any other country in the world, reports said. India is the app’s biggest market with over 250 million users. India is also the market where WhatsApp is facing increasing scrutiny over mob violence and lynching reports after misleading videos went viral on the platform. The Facebook-owned messaging app in a letter to the Ministry of Electronics and Information Technology (MeITY) had written that it was horrified by the reports of violence in the country and announced some initiatives to curb the spread of misinformation and fake news. According to WhatsApp, this will ensure that the platform remains a private messaging app, and also stops misinformation from spreading. “We believe that these changes – which we’ll continue to evaluate – will help keep WhatsApp the way it was designed to be: A private messaging app,” it added. However, people can also copy a text message and then share it again to multiple chats. This way, even the Forwarded label does not appear. WhatsApp says it will continue to improve the app with new features like this one. According to reports, the app is also testing a new feature to detect suspicious links and warn users before opening them. Another common problem on the messaging app is the spread of messages claiming to offer free vouchers, airline tickets, with fake links being shared. WhatsApp introduced a new label on 11 July to help users identify whether a message has been written by the sender or simply forwarded. The idea is that people will treat some of these forwarded messages with caution. WhatsApp also took out advertisement campaigns in newspapers in India on steps to fight the spread of fake news. 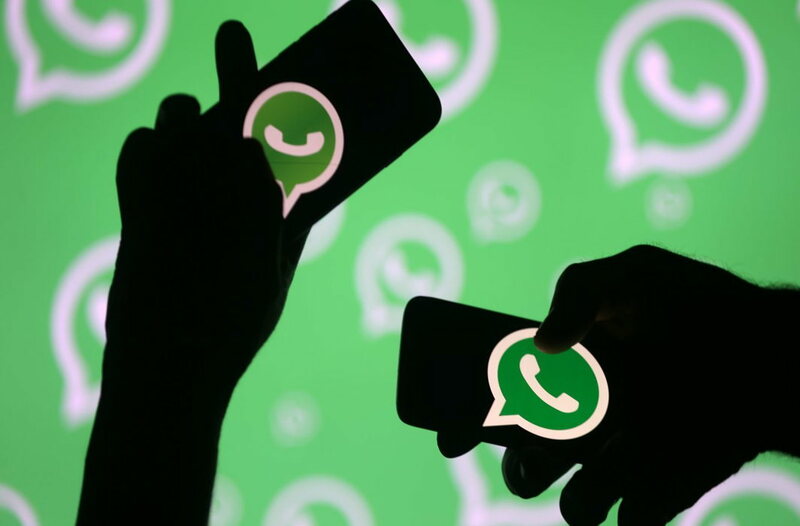 Earlier this month, WhatsApp in response to a call from the Ministry of Information Technology, said it required a partnership with the government as well as society in general to curb the spread of false information on its platform. WhatsApp last week published advertisements in key Indian newspapers to tackle the spread of misinformation, its first such effort to combat a flurry of fake messages. The messaging service had said it was giving users controls and information to help them stay safe, and that it planned to run long-term public safety advertising campaigns. It also plans to create a system for preventing the spread of fake news and provocative texts in consultation with academic experts and law-enforcement agents, it had said in its earlier statement. The government warned WhatsApp on Thursday, in its second notice to the US-based messaging service in three weeks, that in the absence of adequate checks it will treat the messaging platform as an “abettor” of rumour propagation. “When rumours and fake news get propagated by mischief mongers, the medium used for such propagation cannot evade responsibility and accountability. If they remain mute spectators they are liable to be treated as abettors and thereafter face consequent legal action,” the IT ministry said in a statement. Prior to this, the government had expressed “deep disapproval” about WhatsApp’s inability to prevent the spread of “irresponsible and explosive material”. According to a Reuters report, WhatsApp is working with seven organisations, which includes the likes of Centre For Social Research, to build and scale an education programme that can address the challenges posed by misinformation and fake news.